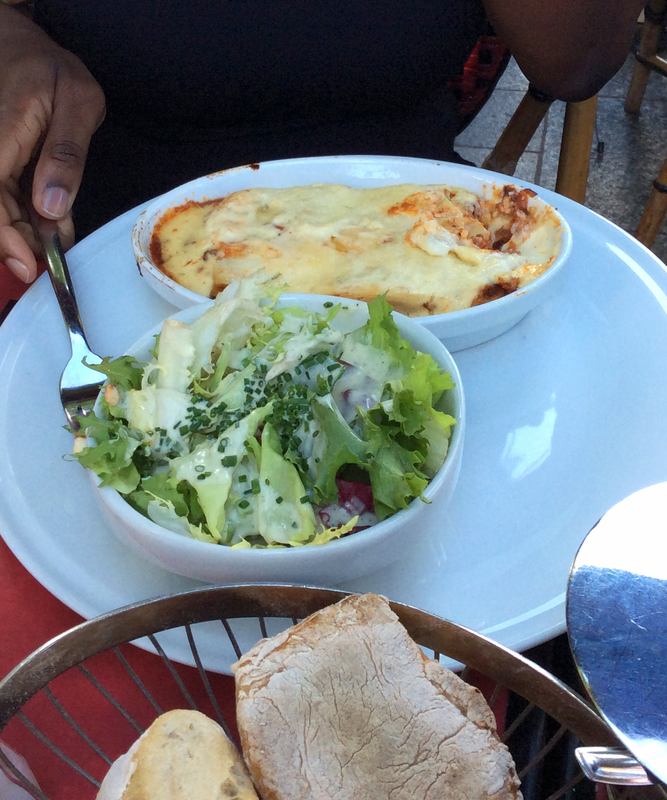 Today I'm sharing with you a decent place to have lunch on the Champs-élysées. When I travel to a new country I like to mix with the locals, eat where they eat, and get a good feel of how daily life is. 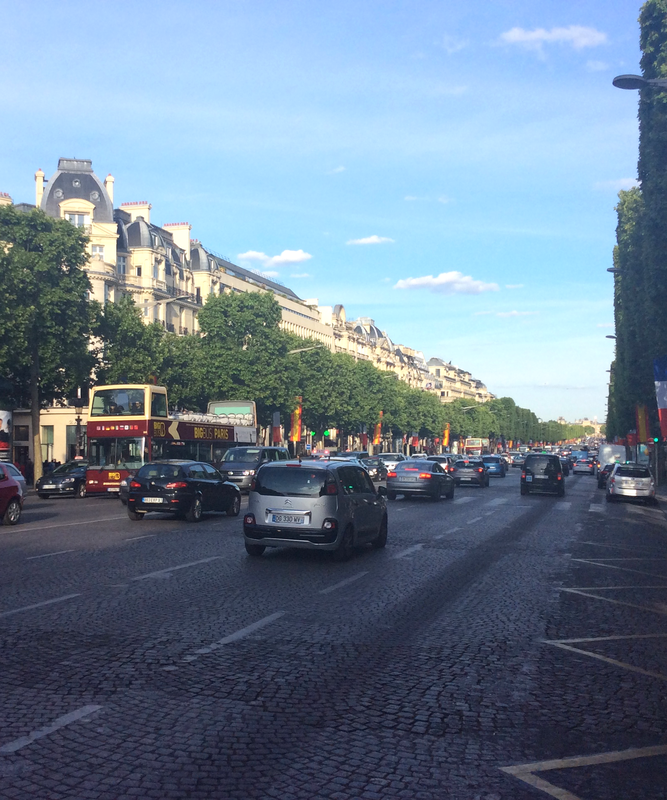 Champs-élysées is a hot spot for shopping and dining in Paris; this district has all sorts of designer shops and high street brands on a long stretch of perfectly laid out road; mixed with a good selection of local restaurants. While exploring the Champs-élysées we found a little cosy spot to have lunch, Cafe di Roma. While travelling with kids, I tend to go for the cosy little restaurant where I feel comfortable; Its sometimes hard persuading my little munchkin to eat decent food while abroad, but a cosy little restaurant with a good portion of tasty food always does the trick. Cafe di Roma has inside dining and outside dining covered by a large canopy. 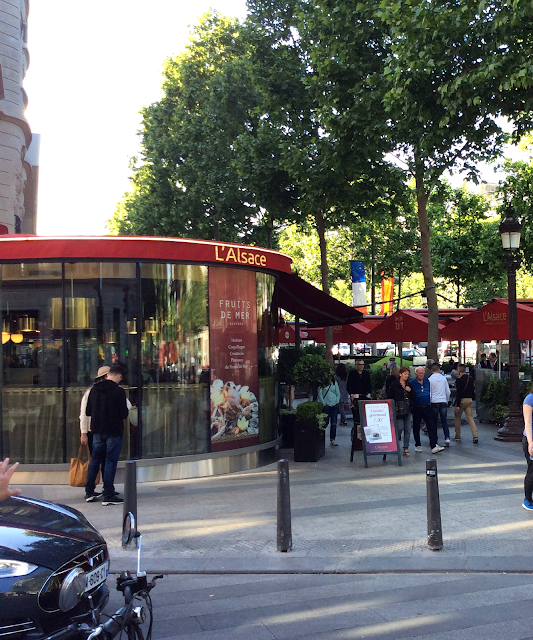 We opted for the outside seats to watch daily life go by on the busy streets of Paris. I opted for a simple beef lasagne with some salad. 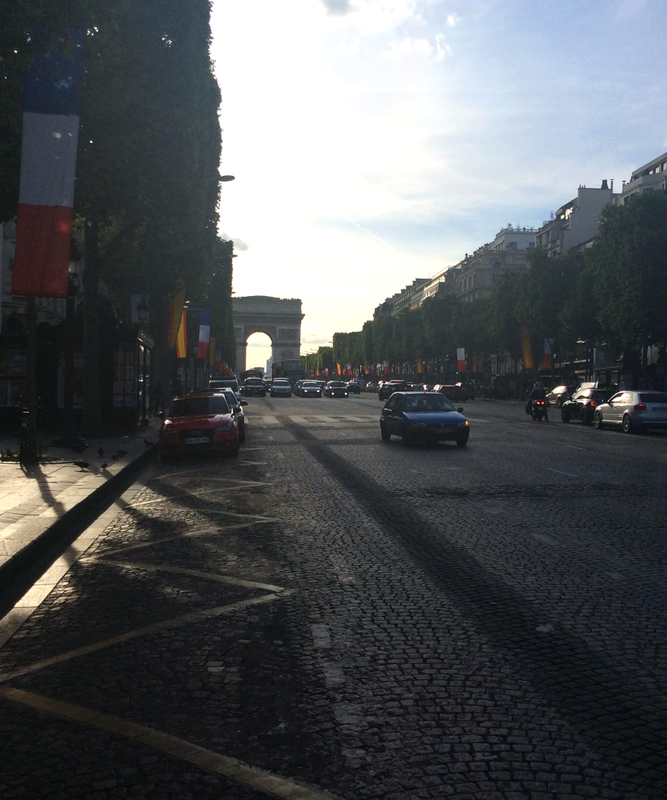 Our view of Arc de triomphe at lunch was priceless, Paris truly is a gorgeous city. My verdict on Cafe di Roma; its a decent place to dine, its not 5* dining, but it does the trick after a busy day of shopping or exploring. 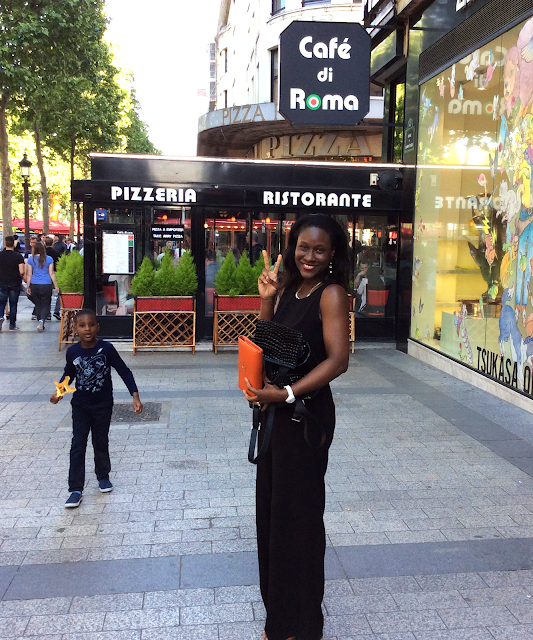 If you're planning on visiting Paris soon and you're stuck for where to eat, check out Cafe di Roma on Champs-élysées. Have a great week ahead, and don't forget to subscribe to my weekly posts and follow on my social media. links below. - Choose indoor seats for extra comfort or enjoy the outside seats to watch the busy streets; if you don't mind smoke. - Paris; always a good idea.